Being proactive when it comes to dental care is the best way to maintain a long-lasting healthy smile. It involves brushing and flossing daily and going for routine cleanings and dental exams. Keeping your mouth healthy involves work on your part. A commitment to oral hygiene and the right lifestyle choices are the foundation of good oral health. While preventive care begins at home, scheduling regular exams at your trusted local 45069 dentist is essential to detect and prevent gum disease, tooth decay, and oral cancer. At West Chester Dental Smile Center, our skilled team will help your family maintain healthy and vibrant smiles for many years to come. When you have a local 45069 dentist you can trust, it makes it easier to keep up with periodic checkups. Staying abreast of the latest research from the American Dental Association, our expert practitioner recommends you visit us twice a year for an evaluation and a thorough dental cleaning. Using a keen eye and state-of-the-art diagnostic equipment, we will carefully monitor your teeth, gums, and jaws for signs of any developing dental problems. The earlier we detect conditions, the easier they are to treat. Gum disease for example, can often progress symptomless for a while, but ultimately lead to tooth and bone loss if left unaddressed. 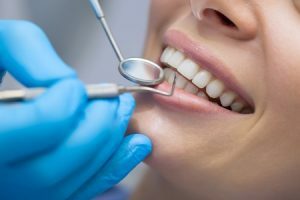 At every checkup, we’ll also perform a thorough cleaning to ensure the hard to reach crevices of your mouth are free of any plaque and tartar along with an oral cancer screening. If you’re looking for an experienced 45069 dentist that can help you and your family maintain optimal oral health, consider the team at West Chester Dental Smile Center. Combining the individualized attention you deserve with a compassionate approach to dentistry, we offer some of the best dental care in the region. Call today to schedule an appointment. This entry was posted in 45069 and tagged 45069, Cosmetic Dentist, Dental Checkup, Dental Office, Dentist, Dentistry, Preventative Dental Care, West Chester on May 11, 2017 by admin.